On November 10th, Miami-Dade County announced that it has re-opened the newly rehabilitated Miami Avenue Bridge head of the scheduled December completion date. to make sure that the bridge rehabilitation work was completed with minimum disruptions to residents in the area and to marine traffic. Miami-Dade County Public Works Bridge Engineering section. was on the southbound leaves. The Miami Avenue Bridge consists of twin bascule (No.’s 874663 & 874664) bridges on Miami Avenue that cross the Miami River. The bridge was built in 1985 and is over 627 foot long. 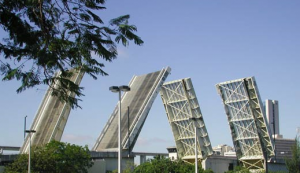 The bridge cuts through a sea of high rise condos in a bustling part of downtown Miami with heavy traffic, which meant that bridge downtime had to be kept to a minimum. 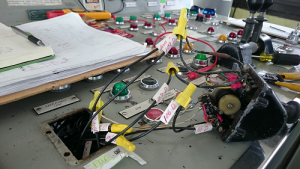 Over 30 years of exposure to Miami’s salty environment had left the bridge’s deck rusty and corroded, leading the DOT to classify it as ” structurally deficient” and imposing vehicular load limits of up to four (4) tons per axle on the bridge. In addition to needing a structural face-lift, the bridge’s control system had to be modernized and Champion Controls was selected to perform that work in 2013. 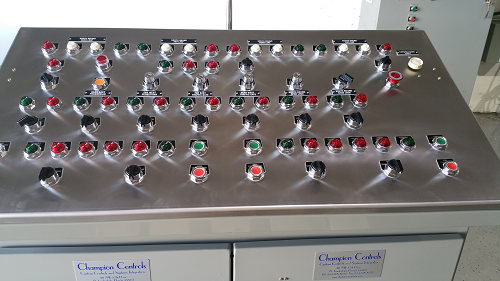 Our staff removed the existing operator console and built a new one to replace it. 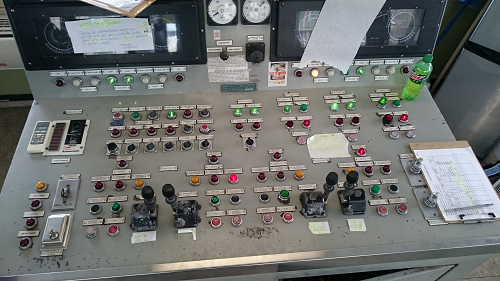 They also rehabbed the existing hydraulic controls. 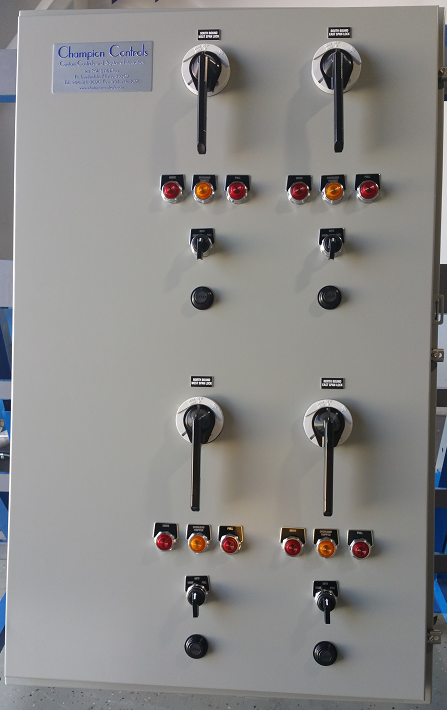 The new operator console included a relay-based control system and all new control interfaces (lights, switches, push buttons, etc.). 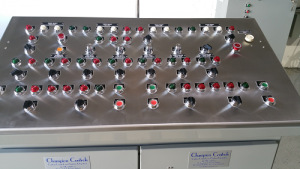 The new system eliminated use of the legacy joystick controls which were difficult for the County to maintain. 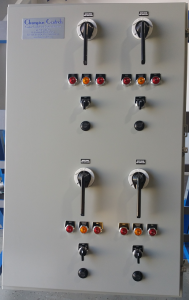 The existing hydraulic control components were removed and re-installed in a new custom enclosure behind the operator console and integrated to operate seamlessly with the new control system to complete the modernization.